Living in Andalucia I enjoy sampling Spanish wines but I’m only a beginner at wine tasting. Adding visits to wineries and sampling their wines while exploring Spain is growing on me. I didn’t realise just how many wineries there are, especially here in the south of Spain. We’ve all heard of Rioja, Ribera, Valdepeñas, those larger, more famous areas in the north (or further north) which tend to overshadow us down here in the south. 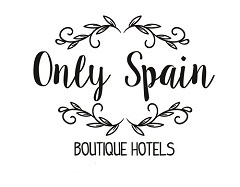 Usually here in Andalucia it´s the three big cities – Cordoba, Granada and Sevilla or the busy beaches of the Costa del Sol that make the headlines. Well I’m on a mission to share wineries or bodegas throughout Andalucia. Just last month a blog trip with Tasty Andalucia introduced me to two wineries about as far west from me as possible. They say it’s the climate, the soil and the Atlantic air that makes their wines so special. Whatever the reasons I enjoyed them all. That isn’t the reason for my local winery, Campoameno’s great wines. No Atlantic air here in Jaen. Climate, soil and grape vines yes! So I’ve had to do many frequent visits for supplies. Which is my favourite? The Syrah. My visit to Bodegas Hidalgo – La Gitana was on an unusally wet day, but that didn’t dull my view of the lovely, little town of Sanlucar de Barrameda, to which I have to return and explore more. My tour on that damp, dull November day began as we were ushered in the back way because of the rain. The dampness didn’t dispel those amazing aromas. Fermin, eighth generation, Hidalgo was our marvellous wine tasting story-teller and guide. In the office of the winery the story unveils. The bodegas roots began in 1792 when Jose Hidalgo purchased a small wine storage from his father-in-law. Although it was his son, Edward, who made it famous. The winery, named Bodegas Hidalgo, changed its name several times. Today it’s still known as Bodegas Hidalgo but more often than not with the hyphen – La Gitana. La Gitana, meaning the Gypsy Woman, was added after Edward travelled to Malaga to meet the woman who was selling a fair quantity of his wine in her shop. Back in those days it was sold directly from casks or barrels. The punter brought their receptacle, a jug, bottle or whatever and it was filled straight from the cask (I remember being able to do that.) The locals started referring to the wine as ‘el vino de la gitana‘, the gypsy lady’s wine. When in the early 20th century wine began to be sold in bottles Bodegas Hidalgo (or Edward) named it ‘La Gitana’ and had a picture of her (with whom he was having an affair) on the label, Bodegas Hidalgo – La Gitana. Hence keeping their name but also retaining the custom and customers. The original picture is on the wall in the original office along with a later ‘touch up’ in the 1920s. Historical books and ledgers remain in the old offices and the once small storage built one metre below sea level is now able to hold about 4,000 barrels of Hidalgo’s wine. Although Manzanilla is its main brand it also produces Pastrana and four fortified wines – Amontillado Napoleon, Oloroso Faraon, Cream Alameda and Pedro Ximenez Triana. One of the fascinating facts for me was that they had wines named Wellington and Napoleon. Why was that? Well, in the Peninsular War in the early 1800s Napeoleon invaded Spain and ever-the-entrepreneur Edward sold his wines to the French putting ‘Napoleon’ on the barrels and when the English came to help, he also sold to Wellington’s troops marking the barrels ‘Wellington’ so now we have old Amontillado Viejo Napoleon VORS* and Palo Cortado Viejo Wellington VORS wines. In the summer months one of the bodegas’ charming little patios is open to the public as a bar with lunch available, as well as a shop for wine in bulk or bottles and guided tours it is an interesting visit as much for its history as its wine tastings. **Really VOS comes from the Latin ‘Vinum Optimum Signatum’ or a Wine Selected as Optimo or the best. VORS comes from “Very Old Rare Sherry” (Wine Selected as Optimal and Exceptional)only around 0.2% of wines produced in Jerez make this grade. Visit the website of Bodegas Hidalgo – La Gitana. Tours can be booked via the site. Read my post on my Andalucia Explorer Blog about Olive Oil, Wine and Food Tours around Cadiz, Cordoba, Huelva and Sevilla There’s Part 1 which is live and Part 2 which is in the fermenting process.